You know how important it is to display good, quality content on your web pages; that is how the search engines find your site and your store pages and all the SEO wizardry aside, content is what will ultimately determine the ranking of your pages. Coming up with all that text, however, is difficult. You have an idea about your products and what to say about them, but because these are your products, your thinking may be biased or skewed. What you write may or may not provide the information necessary for your potential customers to make a purchase decision. So why not let them ask you the questions? 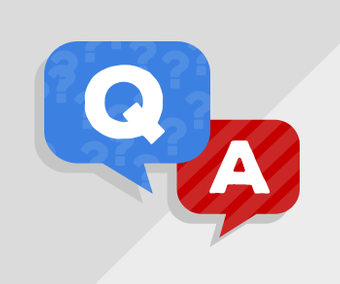 Enters our Q&A template add-on! When we install this template in your yahoo store, each of your products will have a questions-and-answers field, where you can enter the frequently asked questions relevant to that product. Entering the questions and answers is very simple: you simply type one question in the field, then a blank line, then the corresponding answer, then a blank line, the next question, blank line, answer, etc. The template will then automatically format the questions and the answers into a neat, easy to follow structure. Below the questions and answers is a link that let your visitors open a question form and submit a question about that item if something is still not clear to them. You receive the question via email; you can then simply reply to the email, and then, go to that product in the Yahoo Store editor, and add copy and paste the new question and the answer into the "questions-and-answer" field. It is that simple. Not only do you find out what your potential customers are interested in, but at the same time you also generate new and good content for your product pages. This is the perfect product for when a customer wants to ask a very specific question about a product when they are on the product page. Not only that, but you can then turn it into a feature for the next visitors so they can see what Questions have already been asked and answered!